We pride ourselves on the quality of the coffee which we serve at MammaLina and with this gift you can experience our coffee in your own home. This would make a perfect housewarming gift or a present for the coffee addict in your life! 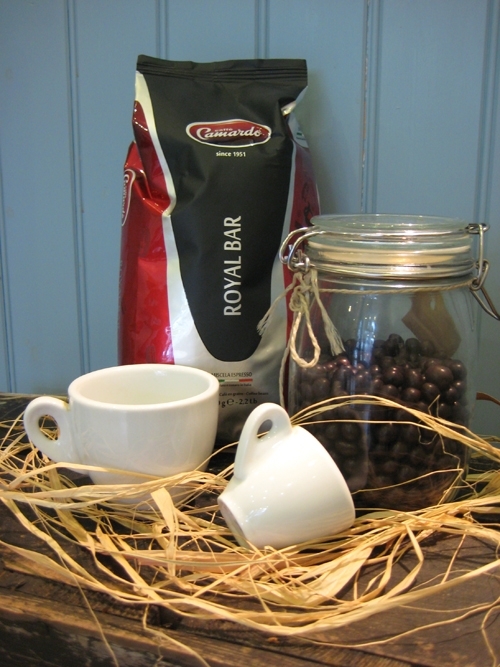 Freshly ground “Camardo” coffee 250g Superior quality selected and roasted coffee beans. From a supplier in Molise who has been using organic rather than chemical roasting methods since 1951. Traditional Italian Caffettiera - Traditional “Bialetti” design Italian Caffettiera as found in all Italian homes!